At Andrews Automation Ltd we pride ourselves on providing integrated systems that complement our clients existing processes, ultimately improving productivity. In order to provide quality solutions, we are very particular about the strategic partners we use to support us for our sourced equipment. 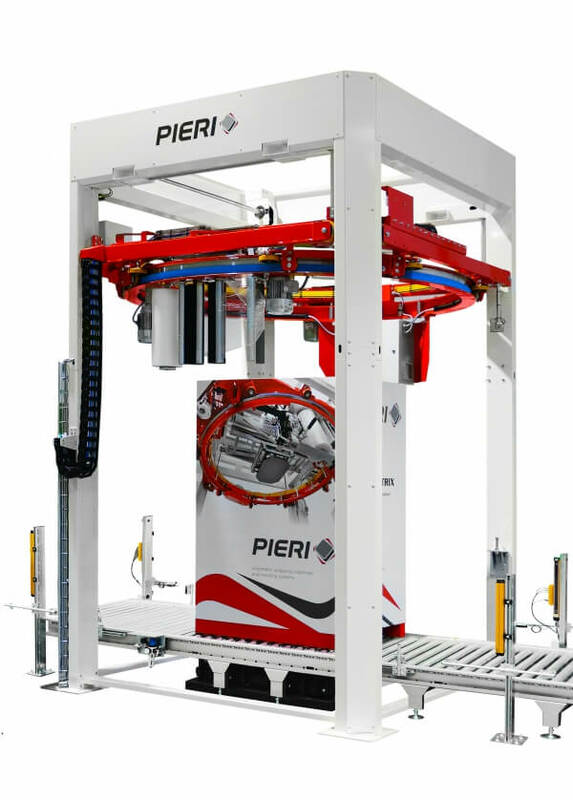 One such partner is Pieri, Italy who work with us closely in offering customers the best solutions in pallet wrapping equipment. Pieri have recently launched their Flexa GO wrapping machine which ticks the following boxes: Compact, Versatile and Efficient. The Flexa GO can be easily transported and it’s strategically place attachment points make it very easy to handle. 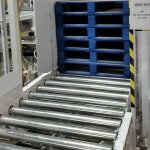 The Flexa GO’s versatility allows it to wrap pallets from 400mm square, to a maximum of 1200mmsquare, and can work in conjunction with feed conveyors at heights as low as 80mm up to 1000mm tall. 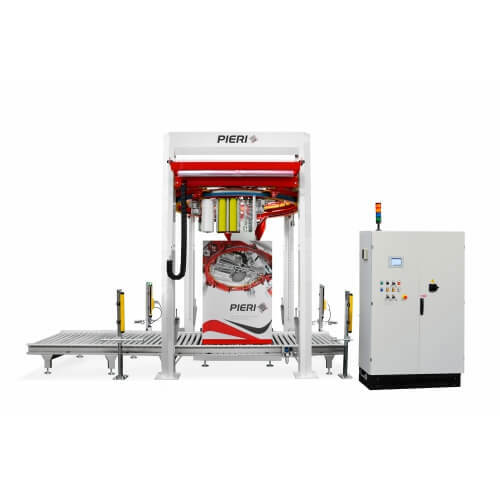 The more efficient Flexa GO works with an inverter driven belt drive which minimise the amount of maintenance required whilst also reducing the amount of noise emitted through operation. 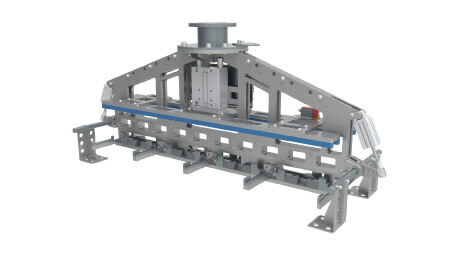 Welding & cutting device – complete with temperature control on the sealing system, plus a contrast bar to prevent product contact with the welder. An inverter controlled, motorised reel carriage with tachometer generator technology to give accurate film unwinding. The carriage is also available with interchangeable fixed ratio pre-stretching. Available with 80%, 120%, 160%, 200% and 200% pre-stretch. Twin-motor drive with electronic pre-stretch allowing real-time stretch adjustments from 120% to 450%. 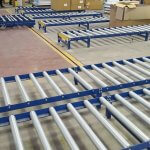 This allows for a varied range of pre-stretch options to compensate for fragile loads and optimise film consumption. Optional ecoMATRIX system to tuck in the tail of the freshly cut film of the wrap. For more information on integrated systems for your business, call us today on 01405 768900 or email sales@andrewsautomation.com.